Christmas is coming, I think people are busy cleaning the house now. But when you clean the room, you will have troubles. Window glass is always difficult to clean, although the glass is crystal clear, it takes a lot of time to clean. You must first remove excess dust from the windows, then clean the glass with detergent and then scrub with water. The entire process will take a lot of time.When you finish the cleaning work, you may find annoying watermarks and streaks on the glass. As long as there is a little dirt on the glass, it will affect the appearance and the cleaning work will be very frequent. If you are looking for a lightweight and powerful window cleaner, this vacuum cleaner could meet your requirements. It offers 30 minutes of battery life, it’s not the longest runner in the list, but there is plenty of time to clean up a fair amount of windows. This cordless window cleaner has a powerful suction function that helps clean windows and glass in a short time. It works more efficiently than a conventional dust collector or sponge, and it clean thoroughly. This cleaner cleans and drys windows more efficiently without leaving watermarks and streaks. 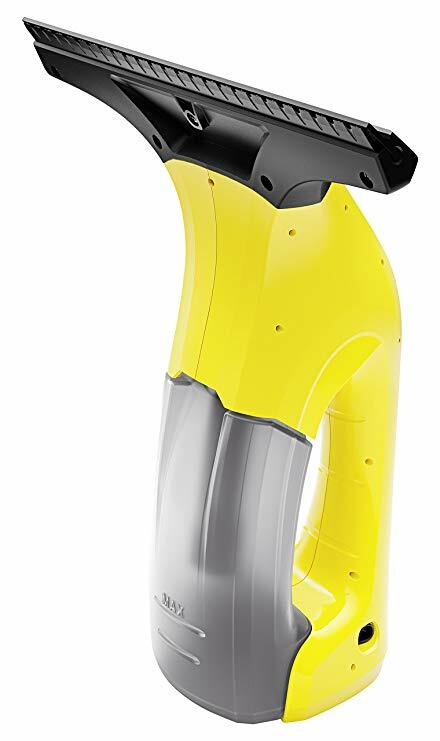 It’s a small, lightweight tool,the wireless design is easier for operation! This cleaner uses a unique strong magnetic method to cleaning the glass.The double-sided rubbing design can scrape off the foam,when cleaning the glass. You don’t need to face the trouble of secondary cleaning! Saving more time and effort. And this wireless electric window cleaner has the function of sucking in excess sewage. The dirty water bottle is designed with a drain hole. After cleaning, you can easily pour dirty water. 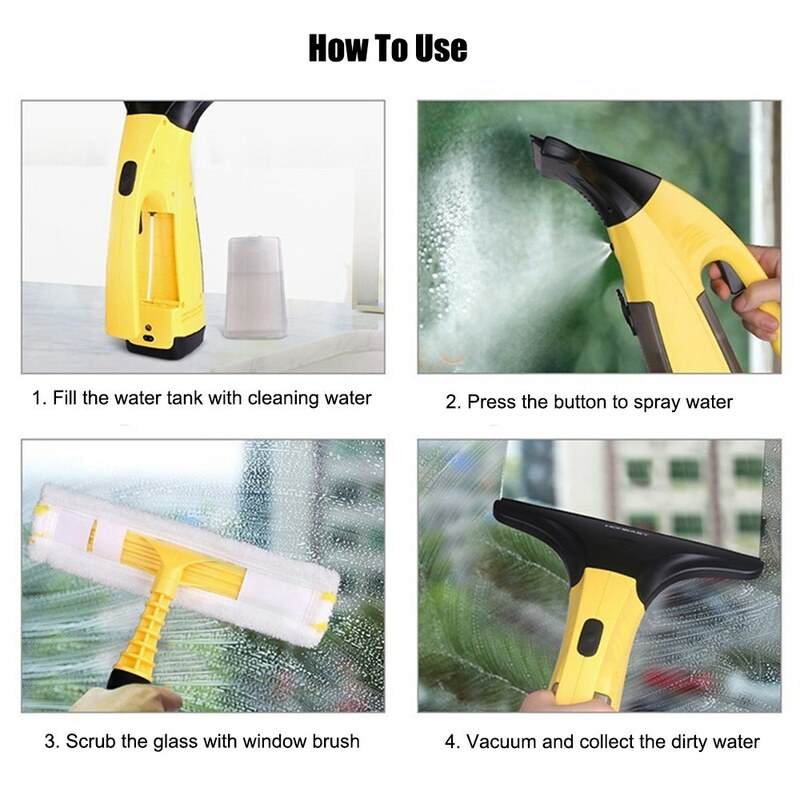 This vacuum cleaner is suitable for cleaning windows, floor surfaces, tiles,shower mirrors, car windshields, etc. 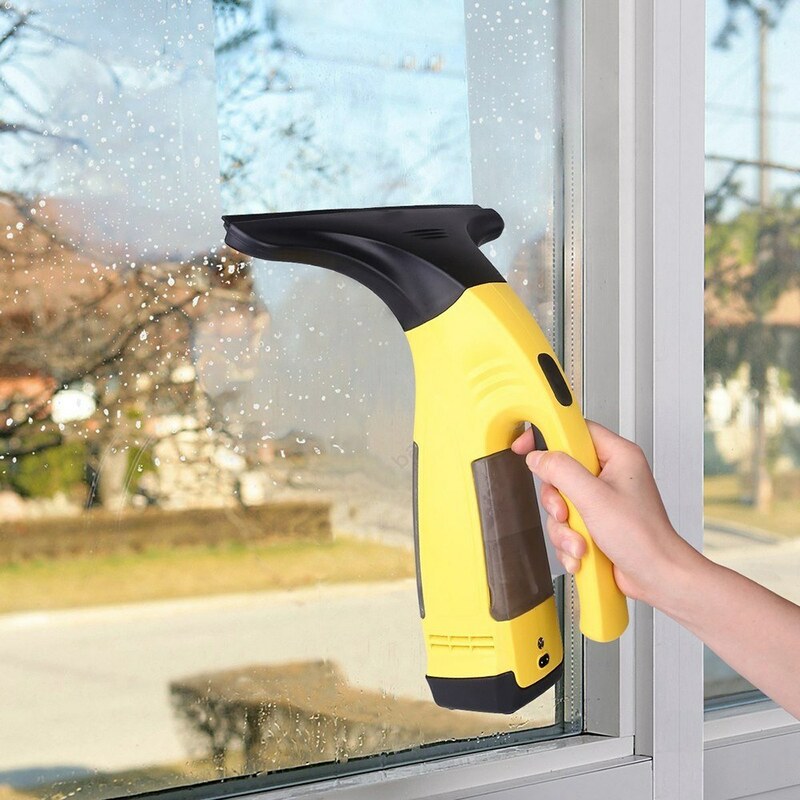 If you want to clean the windows in a more convenient or labor-saving way. This window cleaning robot will be your good partner. 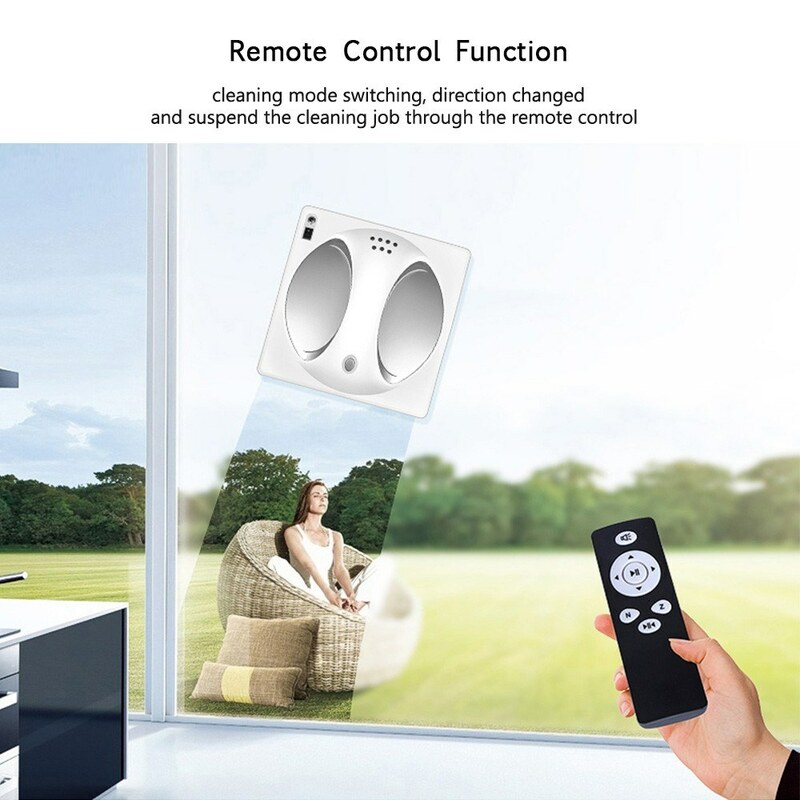 It can clean windows and glass of any height. It’s more expensive than a regular cleaning tool, but it can work for you and completely liberate your hand. The biggest feature of this cleaning robot is that it is very smart. 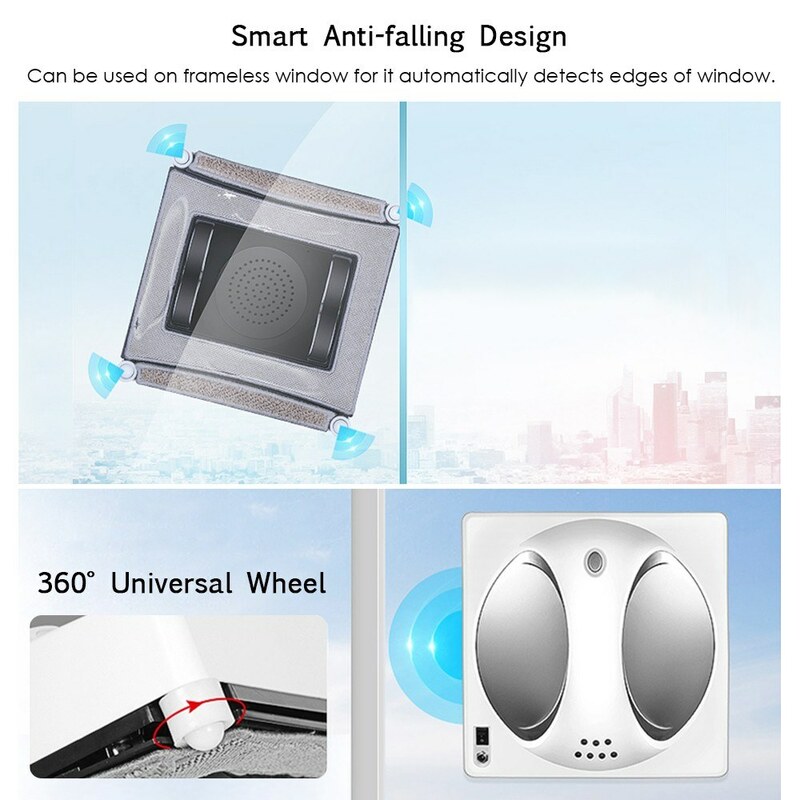 With anti-drop control function, it can climb to the high window without falling. Automatically detect the edge of the window. And equipped with a 2 meter safety rope and a powerful suction cup to prevent falling. It has a high working efficiency,the cleaning speed is 2.5min / m2, high-speed and efficient cleaning work. It can plan clean routes by itself, such as: “N” route (from top to bottom).”Z” route (from left to right) or “N + Z” route. Once the cleaning is done, it will automatically return to the starting position. You don’t have to worry about it being lost. If you are worried that it will run out of power and die, then your fear is not necessary. It comes with Backup power that supply for 30 minutes, preventing accidental power outage. This cleaning robot is suitable for tile walls, marble walls and glass windows. If you want to make cleaning easier, or if you want to completely liberate yourself, then either of these tools will be a good helper. Don’t hesitate, take them home.